Start your new year off right by showing off your ride and cruising with friends! All makes and models welcome to cruise the strip! Car clubs, bike clubs and singles come on out and join us! Date – Friday January 11, 2019 Time – Meet at 8:00pm leave the lot at 8:30pm Meet – Harley Davidson (By the ‘Welcome to Las Vegas sign) 5191 S. Las Vegas Blvd Drivers Meeting before the cruise! You are welcome to share your Public Live Videos and pictures of the cruise on the Event Page, or @BoneShakersCCLV so everyone can see them. Please be respectful of others safety and property! You are responsible for your own vehicle and actions! We will hold a drivers meeting before leaving the lot! You are welcome to share your Public Live Videos and pictures of the cruise on the Event Page, so everyone can see them. We are so excited to announce that we will have a special guest for our 1st Las Vegas Strip Cruise of 2019. Tom George and his cameraman will be cruising with us to get footage and interviews for his new upcoming show called ‘Driven’! Tom has years of experience on both sides of the camera. Serving as producer and host of a variety of media broadcast, he has earned Emmy nominations and taken home wins. His new show will debut in February and will be for car enthusiast and even backseat drivers. ‘Driven’ will air on Cox Communications’ national Yurview Network. The program will reach viewers in 20+ markets across the country, Phoenix, Tucson, San Diego, and Las Vegas. In total, Yurview reaches over 3.8 million homes across the country. 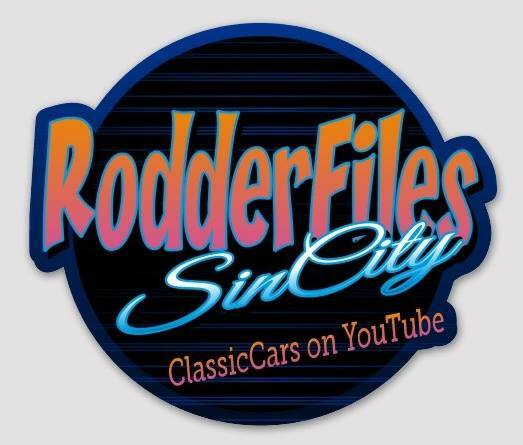 We look forward to seeing you all at the cruise and showing off what the Las Vegas car community has to offer! Fundraiser – This event will have drawings for prizes and all funds raised from the drawing will go to support Nevada Girls State – Empowering Women, Inspiring Communities! Food and Drinks – The American Legion will have their kitchen and bar open. We encourage you to support the American Legion and the work they do with veterans through food and drink sales during the event.